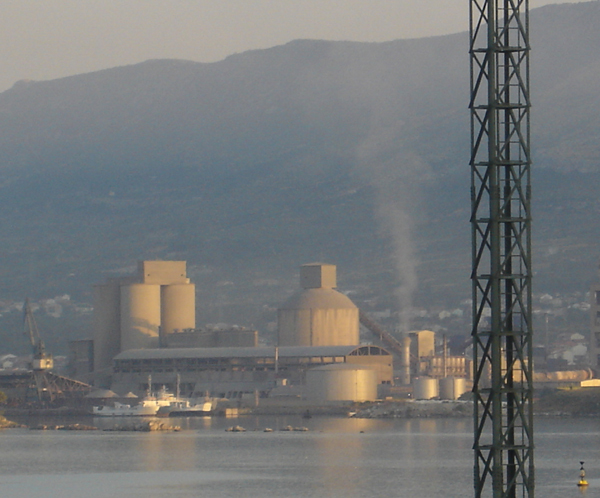 Three Croatian environmental NGOs (from Split, Kaštela and Solin) called the press conference on 22.01.2003. to alert the public that “Dalmacijacement-Readymix” (now CEMEX) company is changing their kiln technology in order to introduce coal and petrol-coke as a fuel (as opposed to less harmful oil). The company director announced the coal burning as introduction to the waste burning which is to include hazardous waste. Waste burning in cement kilns which will be enabled by the newly introduced technology. An year after the press conference the company started with coal burning. The result is multiplied increase in emissions of previously released harmful and toxic matter, as well as introduction of a series of new, extremely toxic and carcinogenic materials - although the company claims they do not burn the waste yet. 3. Not to make any measurements of the pollution emissions until 1. July 2004. 3. after that incomparably greater pollution with respect to pollution allowed before this decree. This kind of incentive and tolerance for pollutants that Croatian government exhibits is probably without the precedence around the world. These careless and harmful decisions suggest the high level of corruption in the government. The decree was made in 2002 but government following that one did not change anything with respect to this. Probably the most harmful decision passed in this decree is that cement plants become at the same time waste burning facilities. It is outrageous that just prior to this decree a petition was signed by more than 10 000 people in the area around “Dalmacijacement” against this. In this petition citizens required from Croatian government to stop yet another ecological tragedy caused by “Dalmacijacement” that had 50 year record of the worst eco incidents in the area. This time the company deliberately plotted out the pollution with coal and waste. When waste, communal or hazardous is burned the emissions include a series of heavy metals (like mercury, cadmium, lead, arsenic and thallium) as well as palette of other toxic and carcinogenic matters. Of these the most poisonous are dioxins and furans which are some of the most toxic compounds known). They cause genetic mutations and serious harm in the tissue of people of all ages. They are extremely carcinogenic, cause aggressive behavior, psychological abnormalities and destroy the immune system of organisms. Dioxins accumulate in alive organisms and they get eliminated only through the breast feeding. Children being breast fed that way drink mother’s milk enriched with dioxins and can be exposed to the level of dioxins 10-20 times higher than adults. Babies that are exposed to dioxins before the birth are 100 times more susceptible to their harmful influence than adults. When waste is burned in cement kilns, poisons and carcinogenic matters that do not get released into surrounding stay in the cement itself and later on are literally built in into houses and apartments. 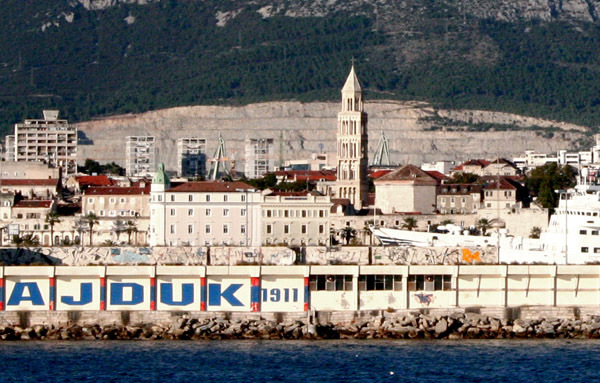 RMC group does not care about that because market for their products are primarily Croatia and Bosnia and Herzegovina. The decree of Croatian government according to which cements plants become also the waste burning facilities, opens the possibility of burning hazardous and chemical waste camouflaged as petrol-coke or if needed even without the camouflage (as announced by Vinko Janjak, DC-RMC director from “Slobodna Dalmacija” 29.11.2000: “we could burn also waste oils (sic!!). This has been confirmed by the Croatian ministry of environmental protection because they were told by the management of DC that waste burning is “one of their first three priorities”. 2. to invalidate the decree by which they allow cement plants to burn waste and in which they also allow incomparably greater emissions of harmful and toxic elements and compounds for industry. 3. We also demand of the Croatian government to finally begin respecting the law related to waste so that valuable materials from the waste would be recycled and not burned. The request signed up by: Enviromental protection organization “Sunce” from Split, “Lijepa naša Kaštela” from Kaštela and “Život” from Solina, with supppotrt of organizations: “Živa Zemlja”, Zagreb; "ZELENI OSIJEK", Osijek; “KOMPOST”, Osijek; and “Inicijativni odbor”, Koromačno. Cemex-Dalmacijacement, kaštel Sućurac, 1. 08. 2006. oko 6:14h..
Cemex cementara "SV." JURAJ, Kaštel Sućurac, 8. 8. 2005. Dvije godine nakon ulaganja 19 milijuna Eura u "najsuvremenije vrecaste filtre i zatvoreni sustav za pretovar"
Cemex cementara "Sv." Juraj, Kaštel Sućurac, CEMEX u Hrvatskoj, 4. 4. 2006. Tri godine nakon ulaganja 19 milijuna Eura u "najsuvremenije vrecaste filtre" i zatvoreni sustav za pretovar!?? 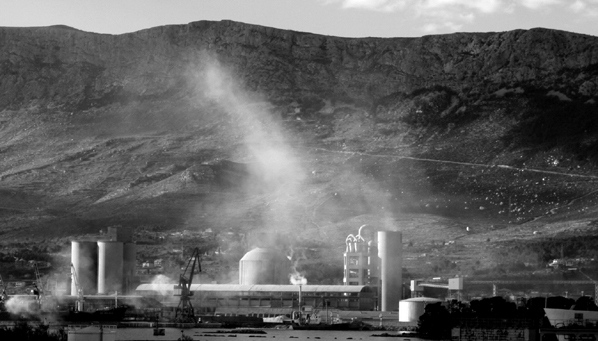 waste into the environment, either as clinker, cement kiln dust or air pollution. Mercury control is particularly poor at cement kilns.